Use the Suitcase to create a wish list of Experiences and reserve them for your event. Include this travel package in your charity auction with no upfront cost. 1. Free to reserve for your fundraising event. 2. Sell as many times as you can. 3. Keep all proceeds above the Nonprofit Cost. We match pricing for any qualifying Experience listed by a competitor. Please note this package can only be used in fundraising events prior to February 2, 2020. 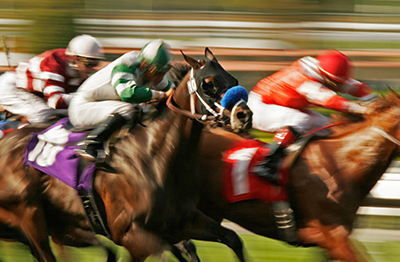 Enjoy two third floor Grandstand tickets (reserved seating; tip-up seats with backs; sections 326-327) to the Saturday, May 2, 2020* Kentucky Derby. You’ll have an elevated view of the starting line and final stretch with intimate 5-row seating for increased visibility of all the racing action and the new video board. The Kentucky Derby is a Grade I stakes race for 3-year-old thoroughbred horses, held annually in Louisville, Kentucky. The race is known as "The Most Exciting Two Minutes in Sports" for its duration and is also called "The Run for the Roses" for the blanket of roses draped over the winner. 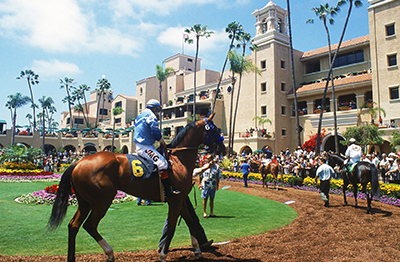 It is the first leg of thoroughbred racing's Triple Crown and draws over 155,000 fans each year. 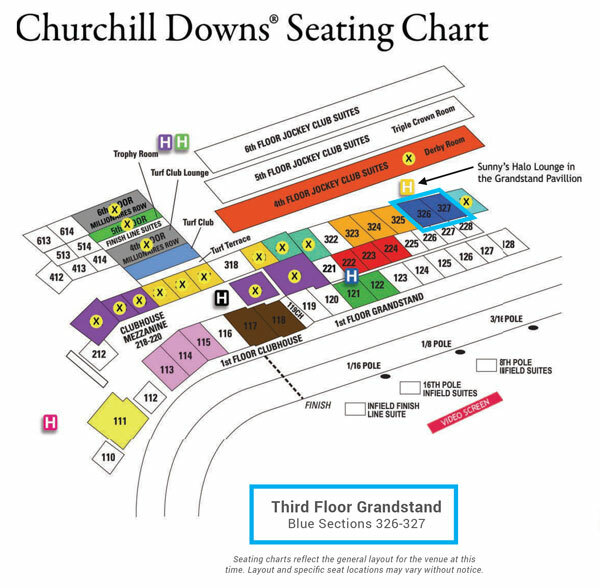 Enjoy two third floor Grandstand tickets (reserved seating; tip-up seats with backs; sections 326-327) to the Friday, May 1, 2020* Kentucky Oaks. This will allow for faster and more secured access into Churchill Downs’ gates 1, 10, and 17. Enjoy access to Sunny’s Halo Lounge in the Grand Pavilion, the outdoor rooftop party deck with a great view of the entire track. Offering covered open seating dining tables, complimentary beer, wine, soft drinks, and one-time lunch buffet (on both Oaks and Derby Days); simulcast TV coverage, site line view of the Big Board, and situated near a live betting parlor. A celebrity jockey will make an appearance on the day of The Kentucky Derby! Enjoy a 3-night stay (check in Thursday, April 30; check out Sunday, May 3, 2020*) including daily continental breakfast at the Country Inn and Suites East, Hampton Inn North, Hawthorne Suites East, Wingate Inn East, or comparable hotel, subject to availability. Enjoy round-trip transfers between your hotel and both events. Winspire provides a team of seasoned travel professionals who will help you redeem your experience. All travel related details and reservations are handled for every part of your Winspire experience. Operating as a full-service travel agency, Winspire can assist with extra hotel nights, airfare, and additional guests. This service also provides you with an established network of onsite contacts who can help you book additional experiences, activities and tours. Must be booked a minimum of 90 days in advance. Reservations are subject to availability. Certificates cannot be replaced if lost, stolen or destroyed. All purchases are non-refundable. Packages cannot be resold. Ground transportation is not included unless where specified. Please note this package can only be used in fundraising events prior to February 1, 2020. Enjoy a 3-night stay (check in Thursday, April 30; check out Sunday, May 3, 2020*) including daily continental breakfast for 2 at the Country Inn and Suites East, Hampton Inn North, Hawthorne Suites East, Wingate Inn East, or comparable hotel, subject to availability. This package includes round-trip coach class service for two from any major metropolitan airport in the 48 contiguous United States to Louisville, KY, subject to availability. Airfare taxes and a $25 per person processing fee are the responsibility of the purchaser. Business and First Class upgrades are available at the time of booking for an additional fee. Use of frequent flyer miles for upgrades is dependent on specific ticket restrictions as determined by the airline’s frequent flyer program. Winspire provides a team of seasoned travel professionals who will help you redeem your experience. All travel related details and reservations are handled for every part of your Winspire experience. Operating as a full-service travel agency, Winspire can assist with extra hotel nights, airfare upgrades, and additional guests. This service also provides you with an established network of onsite contacts who can help you book additional experiences, activities and tours. I'm interested in learning more about this upcoming Experience. Create an account to start selecting Experiences for your event. 100% No Risk. No payment needed until a trip is sold. Professional Event Consultation and advice. Trips available for budgets of all sizes. Price Match: Find the same trip for cheaper, and we’ll match it! Access 100+ Luxury Properties from Preferred Hotels & Resorts. Reserve lower priced hotel-only packages for your charity auction with no upfront cost. Free to reserve and offer at your event. Keep all proceeds above Nonprofit Cost. Full service booking for your winners. Access 100+ lower priced hotel-only packages for your charity auction. You can now view your wishlist by clicking in the upper right hand corner at any time. Let our team of event fundraising specialists help you select the best Experiences for your audience.